Too far from Escalade in looks? The 2020 Cadillac XT6 goes on sale in spring 2019. 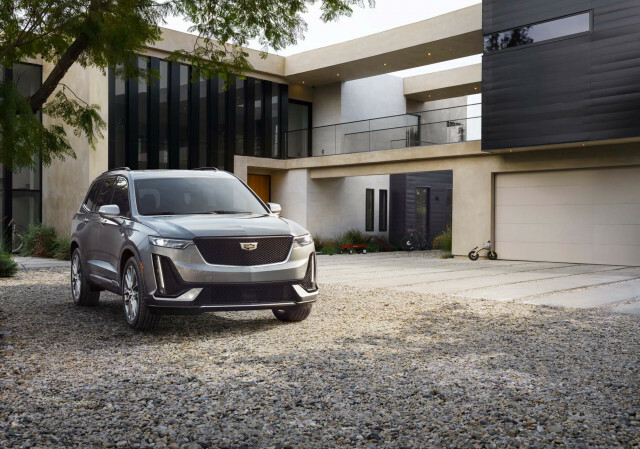 The 2020 Cadillac XT6 is a three-row crossover for families looking for something friendlier than the Escalade. Coming soon to a suburban garage near you: the 2020 Cadillac XT6 three-row crossover. The family hauler is Cadillac’s answer between the smaller, two-row XT5, and its perennial luxury SUV best-seller Escalade. The XT6 is a natural fit for Cadillac and parent-company General Motors. 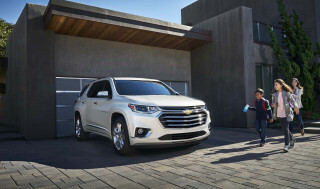 The XT6 shares its basic running gear and its engine with the Chevrolet Traverse and Buick Enclave, but the Caddy gets swathes of soft leather and some standard active safety tech that the others miss. 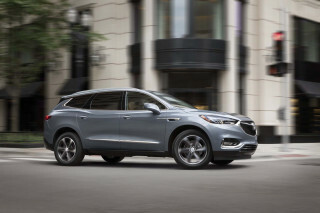 The XT6 is smaller than both Enclave and Traverse, although its incrementally longer than the GMC Acadia and more than nine inches longer than the XT5. When it goes on sale in the spring, the XT6 will be the largest crossover for sale on Cadillac lots. The small XT4 crossover went on sale last year, and the two-row, mid-size XT5 is related to the XT6 but lacks a third row. With the XT6, Cadillac initially offers the crossover in two trims: Premium Luxury and Sport. The XT6’s looks distinguish themselves from the related Enclave and Traverse with sharper angles and a more upright appearance. 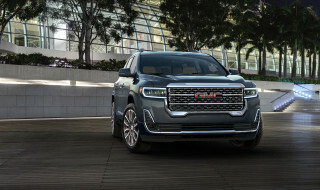 The XT6 doesn’t stray far from Cadillac’s playbook, it borrows the XT4’s mesh grille and floating badge up front and the Escalade’s tall, vertically oriented taillights in the rear. The XT6 offers up to 21-inch wheels on Sport versions, while 20-inch wheels are standard on all models. Inside, the XT6 is covered in soft leather and real wood in Premium Luxury versions; leather and carbon fiber in Sport versions. The XT6 also takes the rotary knob controller from the XT4 and pairs it with an 8.0-inch touchscreen for infotainment to complement its tech-heavy interior. Both trim levels are powered by the same 3.6-liter V-6 and 9-speed automatic transmission found in other Cadillacs and other GM vehicles. The V-6 produces 310 horsepower and 271 pound-feet of torque. When properly equipped, the XT6 can tow up to 4,000 pounds. The EPA hasn't yet rated the XT6's fuel economy. For now, the XT6 runs without turbochargers or hybrid batteries, although both could change soon. The 3.6-liter V-6 can also shut down two of its six cylinders to save fuel on long, highway drives. Premium Luxury trim levels get standard front-wheel drive, with all-wheel drive as an optional extra. Sport versions get standard all-wheel drive. 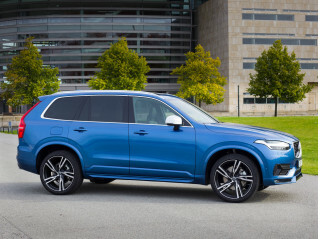 The standard all-wheel-drive system is the same twin-clutch system found in the XT4, which can fully disconnect the rear axle for better fuel economy. The XT6 rides atop a suspension that includes front struts and a rear five-link suspension in the rear. The Sport variant gets standard adaptive dampers and a faster steering ratio for a sportier feel. Like the Enclave and Traverse, the XT6 features three rows of seats, although fitting adults in the small third row could be a challenge. Behind the third row, the XT6 offers 12.6 cubic feet of cargo space that can expand to 43.1 cubes with the third row folded, or 78.7 cubic feet with both rear rows of seats dropped. The XT6 rides atop a wheelbase that’s 112.7 inches long, and measures 198.8 inches from bumper to bumper. 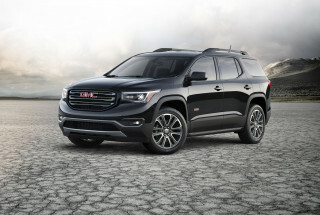 That's down from the Traverse and Enclave's 120.9-inch wheelbase and 204.3-inch length. The XT5 sports a nearly identical wheelbase but it measures 189.5 inches long. Second-row riders get nearly 40 inches of leg room, which is on par with others in its class such as the Acura MDX, but third-row passengers get a scant 29.5 inches of leg room. Cadillac says that each row of seats will get bottle holders and two USB charge ports. An optional, wireless charger is available in the front seat. 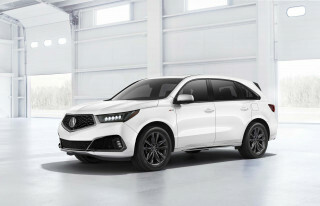 The XT6 will come equipped with active safety features such as automatic emergency braking with pedestrian detection, parking sensors, active lane control, and a reminder for children in the rear seat. Spend-up safety extras include a surround view and night vision camera system, head-up display, adaptive cruise control, higher-speed automatic emergency braking, a camera-based rearview mirror, reverse automatic emergency braking, and a video recorder for the surround-view camera system. Cadillac didn't specify if the XT6 would be available initially with the automaker's suite of driver assistance features, called SuperCruise. If it misses the launch, we expect that the XT6 will offer the tech shortly after. Aside from safety extras, Cadillac says the XT6 will offer uprated audio from Bose, heated and cooled front seats, heated second-row seats, an in-car air freshener, and appearance extras. Cadillac hasn’t yet said how much the XT6 will cost when it goes on sale in the spring. Looking for a different year of the Cadillac XT6?